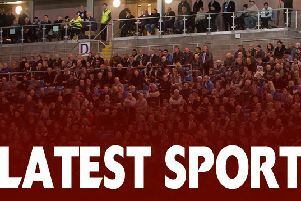 Richard Marshall said that his team’s pride was dented after a heavy 48-28 defeat at the hands of Sheffield Eagles in the opening Championship Shield match in the Super 8s. Marshall’s side leaked 32 points in the first half. They staged a mini-revival to get to within four points before eventually the South Yorkshire outfit comfortably saw out the game at MBi Shay. “I wasn’t overly impressed with our defence in the first half. We really didn’t give ourselves a chance of winning the game,” said Marshall, who had signed a two-year contract extension during the week. “I think our pride is dented in conceding that many points. “I don’t think our attitude at the start of the match was good. This completely changed in the second half and we took the game to Sheffield and scored some good points, getting within a score of getting level in the game. Fax finished the regular season with heavy defeats against Leigh Centurions and London Broncos, as well as a narrow defeat to Featherstone Rovers. Marshall is looking for a better performance on the trip to Bradford on Sunday. “I think in the short term our defence has to improve,” said Marshall. “There is no easy way around hard work and hitting your mate in training because ultimately that’s what the game is. Marshall said the Championship Shield would test the size and strength of his squad. He thought the reserve grade players who had come in against Sheffield hadc done really well. “Chester Butler made his debut and didn’t led anyone down at all - he was tough and confident,” said Marshall.